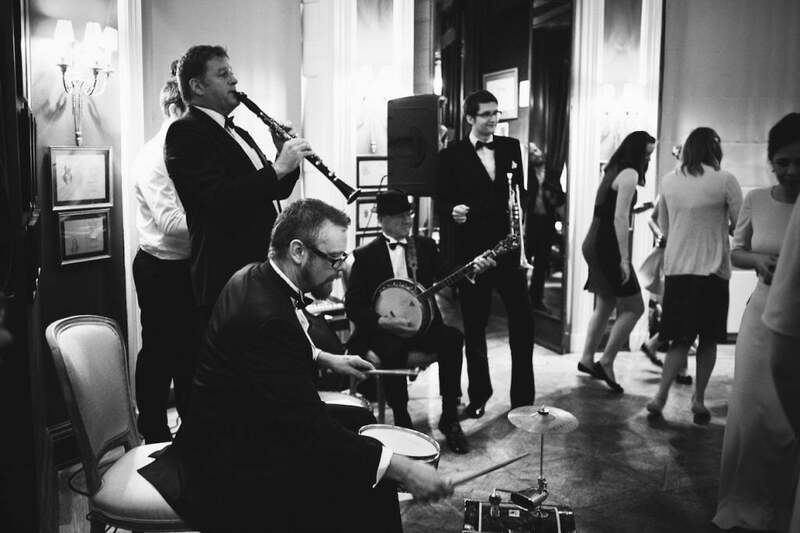 When choosing a jazz band for wedding receptions, you need unique wedding entertainment and authentic Jazz Age glamour. The Silk Street Jazz band have a vast repertoire of jazz hits from the 20s, 30s, and 40s. These are the 7 crowd-pleasing hits to request. Originally a black spiritual and gospel hymn, this is one of the most recognisable American classics of all time and perfectly unique wedding entertainment. The lyrics take inspiration from the Bible’s Last Judgement. Despite its dark content, ‘When the saints go marching in’ became a hit for Louis Armstrong, Fats Domino, Judy Garland, and Elvis Presley. This tune was covered by many artists and bands throughout the 20s and 30s. So much so, it’s apparently one of the most covered pieces of music of all time. The most famous recording is by composer, trumpeter and pianist, Bix Beiderbecke. He suffered from insomnia and night terrors, and would regularly play the piano instead of sleeping. His version of ‘Singin’ the Blues’ was inducted into the Grammy Hall of Fame in 1977. This piece was written in 1917 as part of Tin Pan Alley – the famous New York street of songwriters and music publishers who set the musical zeitgeist for decades. The Original Dixieland Jazz Band were the first to record it, and it was then covered by Nat King Cole, Count Basie, Louis Armstrong and more. It’s been a popular favourite in Indianapolis ever since. A hit since 1928, when it was written by Larry Shay, Mark Fisher and Joe Goodwin. Louis Armstrong and Seger Ellis were the first to record it with massive success. When You’re Smiling has been featured in film and TV as recently as 2016. It’s an instantly recognisable Jazz Age classic. Written by drummer Paul Barbarin in 1955, Bourbon Street Parade is a New Orleans marching band song which became a Dixieland classic. Silk Street Jazz takes a lot of influence from Dixieland, also known as hot jazz during the 1940s and 1950s. Its roots can be found in New Orleans, where marching band music has always been popular, whether there’s a street party going on or not. 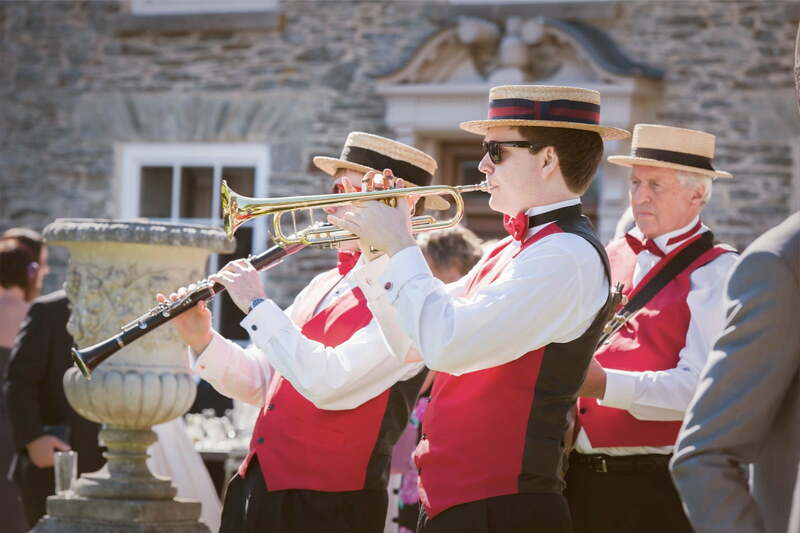 Hire a jazz band for wedding receptions to add some rhythm to your big day. Another famous Louis Armstrong recording, Muskrat Ramble was originally written in 1926 and named by Louis Armstrong’s wife, Lil Hardin Armstrong. During the Dixieland revival, Muskrat Ramble was one of the hits that came back into popularity. Surprisingly though, the original composer received no royalties until a fellow musician fought for him to receive his first cheque. When your wedding guests are ready to Charleston, this is the song they’ll want to dance to. Recorded in 1925, this is a high energy arrangement of Dippermouth Blues, a song with heavily-disputed origins. Some say it was Joe “King” Oliver, others are convinced it was Louis Armstrong. 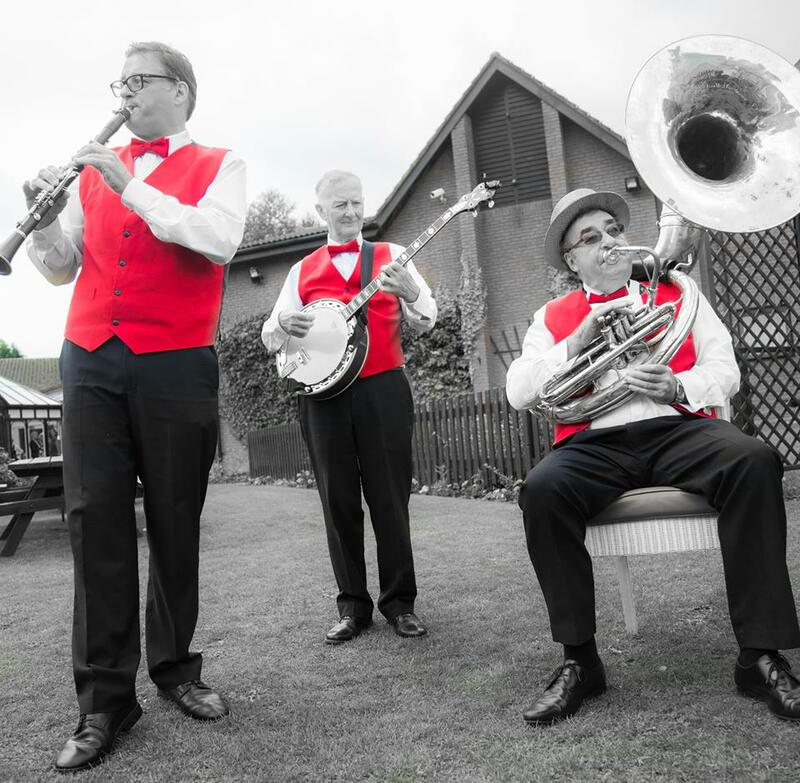 If you want to hire a wedding band in Manchester, London or anywhere else, the Silk Street Jazz band will make sure the party has swing and style. Our lineup is flexible, so we can meet your specific needs on the big day, play songs of your choice, and keep your guests toe-tapping.